Charles de Gaulle once commented: “The cemeteries are full of indispensible men.” He appeared to be commenting on the view - sometimes out of ego and sometimes out of respect for remarkable achievement - that some people cannot be replaced. It's true of course that in one sense each of us are unique and, as parents or marriage partners for example, cannot be replaced. 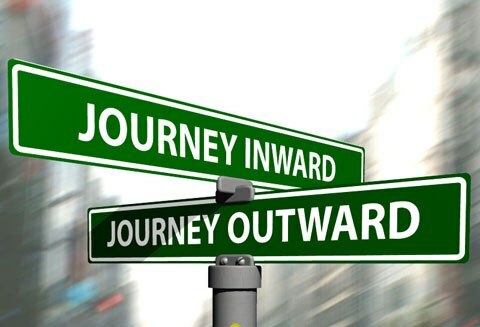 Both the "inward" and "outward" are vital aspects of our journey in, or towards, the Kingdom of God and balance in both journeys are necessary for lifelong progress. A commitment to both journeys simultaneously can be a challenge for Christ-followers because keeping one's balance between the two requires discipline. We are strengthened to greater authenticity, discovery and growth in our "inner journey" by the spiritual disciplines of daily Bible reading, reflection, prayer, journal writing and regular times of retreat. Our "outer journey" grows as we focus and give ourselves to specific mission and service that expresses the Gospel, often with particular attention to poor and marginalized people. Strength for the "outward journey" proceeds from the discipline of our "inner journey" and each enriches the other. Both the "inward journey" and "outward journey" will be challenged by busyness, over-commitment to leisure and the enemies of God's Kingdom resulting in shallowness or even retreat in both journeys. For best growth in the adventure of each journey most of us benefit greatly from the community of other Christ-followers. Just one such community which has encouraged many through many decades is the Potter's House in Washington D.C. led by Gordon Cosby, founder of the Church of the Savior. I commend it to you also. 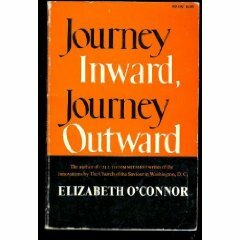 There are of course others but I would encourage you as you come to value the foundational "both/and" nature of the journey of those who follow Christ, to ask yourself as you read them, "is this mentor/author fully committed to both the "inner journey" and the "outer journey" or does she or he only 'tip the hat' to one journey or the other?" If it's only a 'tip of the hat,' read this book until you find something better. Then when you are firmly established in both aspects of your journeys, read authors who may help you in the journey in which you need the most challenge and encouragement. But make sure you get and keep the balance primary. This balance is one of the most important lessons of life as a Christ follower. An image I've appreciated expressing this well hangs in the chapel of Rocky Mountain College in Calgary, Canada. It speaks simply and graphically of this balance and adds an important truth about the relationship of the two. Foundational to fruitfulness is pursuing Christ and being deeply rooted in Him who nourishes and strengthens us whatever the storm (inner journey). Out of relationship with Christ and obedience to Him in the world grows the fruitfulness which brings glory to God (outer journey).